Not Verified | London to Vienna via Frankfurt. This review is for Mrs Darr from Lufthansa Customer Service in Frankfurt, a great person who did everything that was in her powers to help one of my friends change his flight only because the police in Frankfurt don't really know the law and didn't want to let 3 people go through passport control even though they are family. Everything ended well in the end but this lady went back and forward to help us with alternative routes so we can reach all of us the same destination. She was extremely patient and calm even when we were going absolutely crazy, because we were scared. Thank you again and you are going to be part of our memories as the lady who helped a lot! Hope you are going to read this! We really appreciate your efforts and your time! "delayed by almost 3 hours"
✅ Trip Verified | Munich to San Francisco flight was delayed by almost 3 hours due to technical issues. Information was anything, but forthcoming. The replacement aircraft had issues with the entertainment system and power-outlets at the seat. Several restarts of the systems were executed but to no avail. The inflight crew tried to cope with the defunct hardware; but there is only so much, that they can do. The professional performance of the inflight crew were up to standard, all the way. Absolutely the only positive aspect of this trip. "rang the call button repeatedly"
✅ Trip Verified | I flew on an A380-800 from San Francisco to Frankfurt in the upper deck rear economy class compartment (rows 95-99) During boarding and the meal services one single flight attendant works these 5 rows by herself. In between services she has other duties on the lower deck and this section goes unattended for. Even when I rang the call button repeatedly, nobody answered, since the call goes to the unmanned rear galley. The adjacent business class cabin is sealed with a curtain. If any medical emergency or a safety related incident occurred in this compartment, no flight attendant might be available. ✅ Trip Verified | Copenhagen to Washington via Frankfurt. Flew the same route in Nov 18, and was pretty impressed. However, today’s performance was far from stellar. First of all the LH website is probably from the 1980’s, because it sure feels that way when using it. 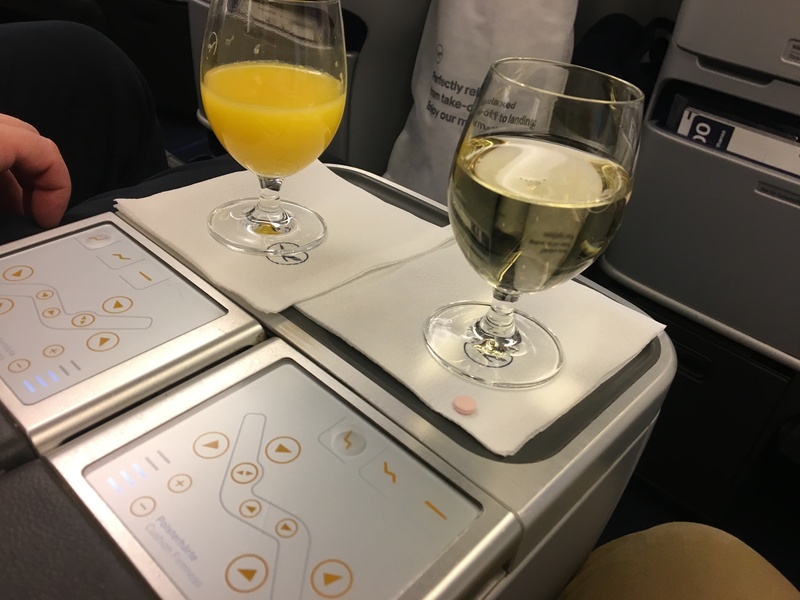 The long-haul flight was very average, to be generous. IFE did not work. The PA system worked in business class only. I had ordered an upgraded dining experience, and if I had been served what I had ordered, I would have been much happier. WiFi did not work onboard this time. What really made the whole thing bad is that everybody was confined to their seats for the last 2.5 hours of the flight due to very strong turbulence. I like Lufthansa, but if this is what they can offer, there are much better options. "took my carry on luggage"
✅ Trip Verified | Prague to Frankfurt. In Frankfurt I was chosen for a special security check without saying why. Then staff at the gate took my carry on luggage saying I'm not allowed to have it. 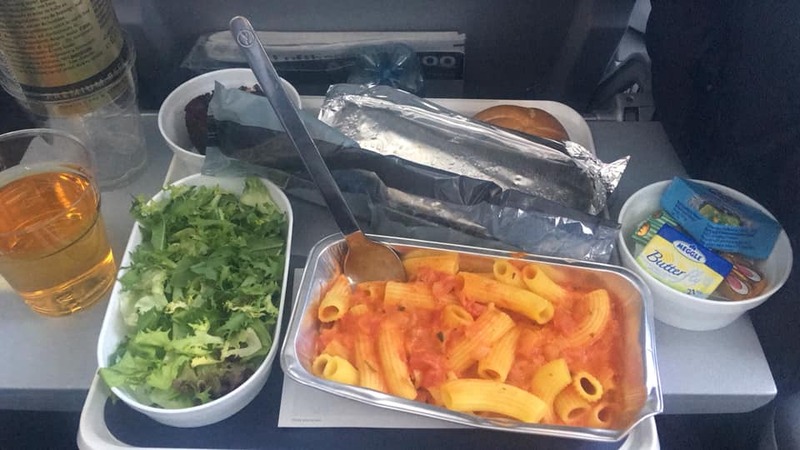 On the airplane we had no option of more than one food. ✅ Trip Verified | Jeddah to Frankfurt. Got a seat in the very last row on this night flight. 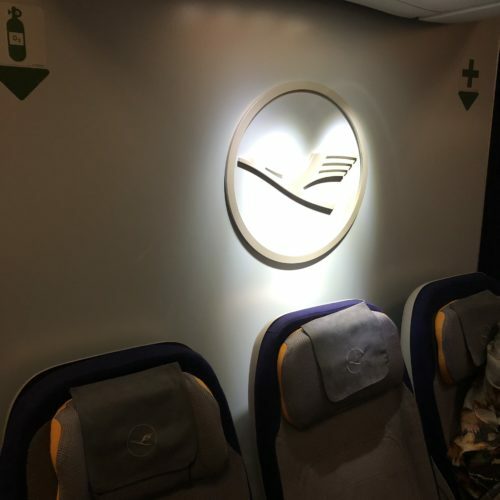 When the lights went off after we departed, I realized that the LH logo just behind my seat is illuminated by 4 extremely bright lights. No way to be able to sleep under these lights. I asked an attendant to switch off the lights. Waited for approx 5 mins, nothing happened, made another call, this time another attendant came. Asked again to switch off the lights, waited 5 mins, no result. I called the third time, then the former attendant appeared and told me that they cannot do anything about it. I asked for another seat, no seats available. Sort of apology, got a sleeping mask. For final approach and landing stage, the lights were switched off which made me feel like a complete idiot. 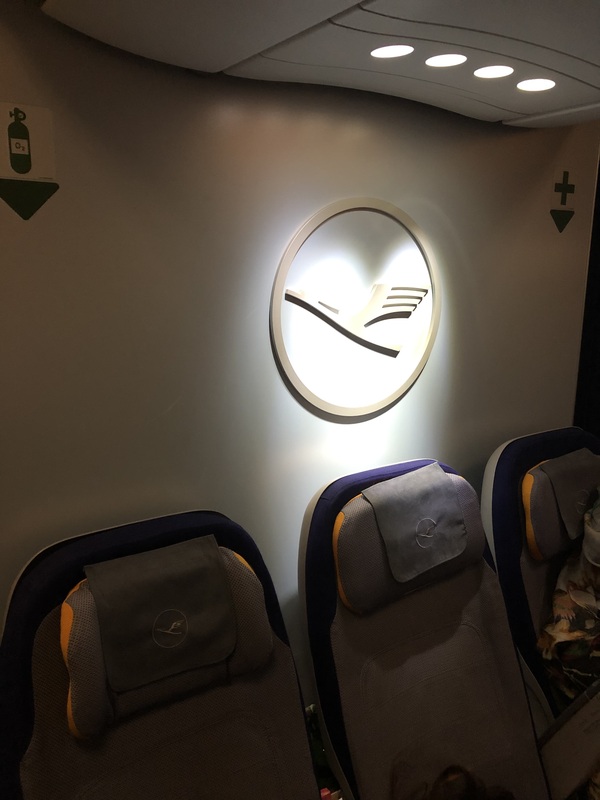 ✅ Trip Verified | Had a return flight Frankfurt to Bangkok with Lufthansa and both times it wasn't on time. It took about 1 hour to deliver my luggage in Frankfurt. Considering the flight delay I missed my train. Entertainment on board was only low rated movies and series and not many. 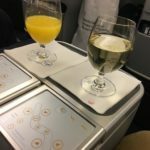 Considering the fact that Lufthansa is one of the most expensive companies to fly with such service can't be justified. ✅ Trip Verified | Seoul to Manchester via Frankfurt. As usual with Lufthansa the flight was pretty much full. Seoul to Frankfurt was ok, but the boarding gate was miles away from the check-in desk. 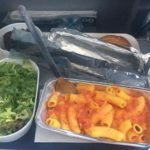 The inflight vegetarian meals are rubbish. Pre-ordered, so they knew they were required. Ovo-lacto means any egg or dairy ingredients are fine, but to cut corners they seem to just serve everyone a bland vegan meal. Spaghetti with a tasteless red sauce. Spaghetti with an airline fork? Penne or fusilli maybe, but not spaghetti! 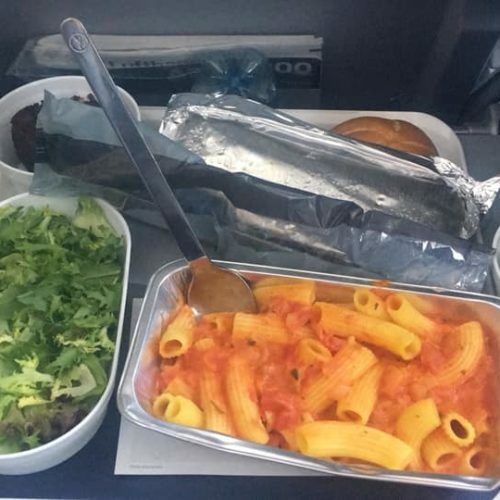 Lufthansa obviously just don't care about vegetarian customers.